The matter of timeliness. . .
. . .has always been an issue for me, and that goes a long way toward explaining my erratic posting patterns, and to an extent, my even more erratic idea of topicality. I do tend to veer, I admit. So, for the next few days, I might as well try to have fun. 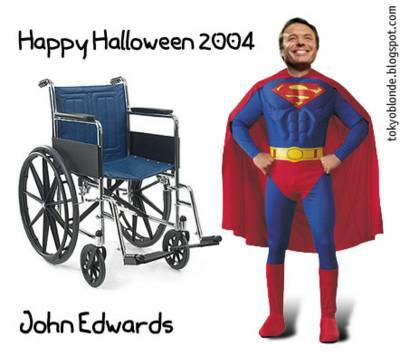 With the help of blondie, I hope to have a collection of Kerry-Edwards related Halloween costume spoofs. I noticed the idea has already been started on by another blog, but I can say in all honesty that we started talking about doing this a few weeks ago. I've just been otherwise occupied with school and life in general, so I got a bit of a late start. So, I hope to blog a little more over the next couple of days. School has really started take more of my time, as I enter into a math-related block -- as I am most assuredly not math people. So, I have to actually crack the books for the foreseeable future. 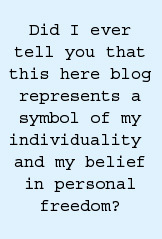 And, to be quite honest, the blog did cause me to miss some class time in the first block that I shouldn't have. Well, that's not entirely true. MsFalconersCabanaBoy caused me to miss that class time, not the blog. Nevertheless, I plan to make a better showing in attendance for the rest of the program. I just felt compelled to dedicate as much time as I could in the first days of the blog, since that's such an important time in establishing a readership. Whether or not that was a wise thing to do remains to be seen. But, I'm already very happy with the number of regular readers I seem to have, and I appreciate every one of them. I just hope you'll hang with me while I get through this whole school thing. The "Johnny Edwards Li'l Trial Lawyer" kit. . . .has a beautifully written piece on his love of dogs in general, and two dogs in particular. I've got an almost sickening weakness for dogs, myself, so I found it moving. Anyone who has both a heart and a dog will identify with this one. "The next several days all I did was search for LeeRoy. I went back to the sand pit again and again but found no new traces of him. I literally drove hundreds of miles on the lower-altitude logging roads, stopping every five minutes or so to call his name. Finally, resigned to his loss and saddened beyond words, I distracted myself from grief by indulging my normal curiosity about the elevation of the remaining snow: it was early April. I drove my yellow truck up the mountain’s main logging road until I reached the point where the snow pack barred my way. It was near the crest. The view – the dark dense green of the tall second-growth firs of the interior forest partially obscured by thick gray streamers of fog or snow-mist – was impressive enough I set the handbrake and dismounted to see it all the better. And there in the snow almost under my truck, perhaps two dozen road-miles south of the abandoned sandpit and maybe 2000 feet above it, was a single set of dog tracks. Big dog tracks." It's not his most recent piece, but it was one I particularly liked. Skeptik's most recent piece, on how the lack of attention to poverty in the presidential campaign, can be found here. . . .to be a Boston fan right about now. Somewhere, a girl is typing up a Senate floor speech for Ted Kennedy, and it will be all about the heroic exploits of Manny Jimenez and Kirk Schnelling. One more blog. . .
. . .before I go. James Taranto's Best of the Web is another one of my daily stops on the web. Aside from his selections from Andrew Sullivan's ahem-endorsement of John Kerry, there's also a tidbit about UCLA's Bruin Republicans staging a "coming out day" for campus conservatives, which apparently has frosted the nether regions of the gay faction. Apparently they find it deceitful to label it as "coming out day". Oddly enough, the little time I actually spent on campus in my years at Southern Illinois University at Carbodale left me with the memory of Blue Jeans Day. As I recall, one of the gay organizations (I think it may have been GLAAD) on campus observed a day wherein students could show their support for the gay rights movement by wearing jeans. So, I hereby proclaim tomorrow as Bathing Day. You can show your support for MsFalconersCabanaBoy by engaging in some sort of personal hygiene -- a bath, shower, or even just a quick splash of water to the face, a brush of the teeth, and comb through the hair for those who oversleep. . . .for the better part of the day, it's now time for me to gather up my laundry and take it for a ride to a nearby facility (a.k.a. my parents' home) for washing. Also, I have a test tomorrow which contains algebra, and that means I'm going to have to crack the books. If all goes much better than planned, I'll be home in time to blog further. 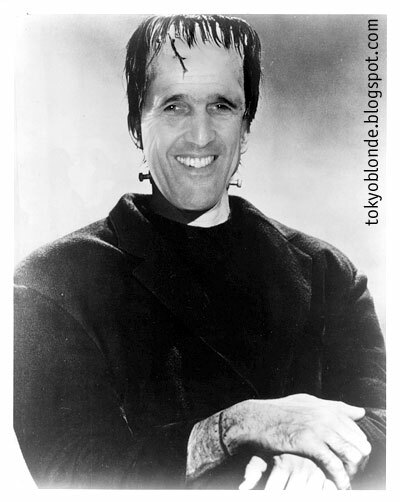 Be sure and check out Kerry Haters, one of the best in the blogosphere. A frightening scenario. 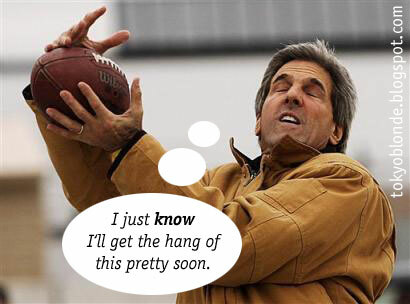 . .
Kerry can't give reasons to vote for him, so he attacks. That's traditional - almost reflexive in fact, at this stage of Democrat campaigns. They don't have another DUI story, the ANG line has been flogged to death, and this damned economy hasn't crumbled in the face of $55.00 a barrel crude. 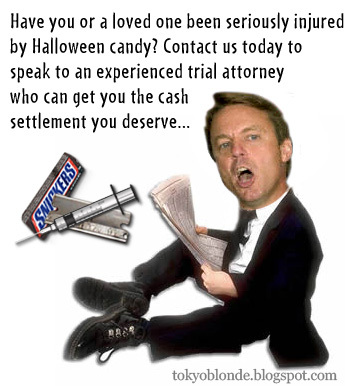 This does have all the hallmarks of an October surprise. Did Kerry's people bother to ask themselves why they got handed this story now? Syria's Assad knows that he's on G.W. Bush's to-do list for the next administration. He also has an ambassador in that august body. Not too long ago he had a non-voting position on the security council. He also hosts Hamas and Hizbollah in downtown Damascus. The U.N. knows that coalition access to Syrian dumps, and the Bekka Valley in Lebanon, will answer a whole lot of questions about Iraq's WMD programs. Another tip of the hat to a longtime Ldotter for this one. UPDATE: Added Three Rounds Brisk... to the Ldotter blogroll. Thanks to a longtime, loyal Ldotter for passing this along. He's so strong and hardy she doesn't worry about him surviving the physical ordeal of being in the desert. She is also confident that her son and his fellow Marines are very well-trained. "They're tough," she says. "They're young and they're fighters and they're survivors." She asked her son if he believed in what he was fighting for, and the reason he was fighting. "He said he did, so that's good." To the uninitiated, Ken Nichols O'Keefe is a crackpot ex-Marine who was dishonorably discharged and decided to make Hawaiian secession and anti-war protesting his personal crusade. You might remember seeing him on television a few times in the days leading up to the invasion of Iraq. Hat tip to blondie for the heads up on this story! . . .and downright dangerous as the election draws nearer, the left has resorted to attempted homicide. UPDATE: Correction. I had two stories confused as being related. Those craven, misbehavin'. . .
Just one more reason. . .
. . .why NRO is so high on my list. They're currently having a symposium on that most sacred of potables -- sweet, sweet beer. As for my taste, I have two favorites; one import, one domestic. I know it's kind of a cop-out -- like having both a favorite National League and American League team, but I do that, too. So, at least I'm consistent in my flip-floppery. But I digress. . . Import: Newcastle Ale. There's a bar in the next county that serves pints, and I always have to have one or two when I'm there. Domestic: Miller Genuine Draft. Hands-down. When I'm down at my local watering hole, the bartenders know to pull another one out of the cooler when my bottle is half-empty. That way, the whole "half-full/half-empty" question is obviated, and I get to be the eternal optimist. UPDATE: Ldotter OregonMuse (Reply #23) gets a hat tip for his link to a classic Jonah Goldberg piece in defense of Budweiser. A reassuring take. . .
. . .on the President's standing in battleground Ohio appears on Battlegrounders, over at NRO, which has become my favorite site on the web (next to Lucianne.com, of course). From my angle, things look pretty good for the President going into the final week. Unfortunately, things can change in an instant in politics. So, as a friend likes to say, "Don't relax! Reload!" I think I know. . .
. . .how Andrew Sullivan must feel, right about now. I'm in a bit of a cold medicine-induced foggy alertness, and unable to hear anything on my right. It is getting better, though. I can hear perfectly if I tilt my entire torso forward almost 90 degrees, and point my right ear toward the floor. Unfortunately, that's just not practical. And, if you like a little irony in your tales of human misery, you'll love the fact that I just ordered some surround sound speakers that were a steal at Overstock.com. Actually got them for about $53, shipped -- cheaper than the price listed. Also, as if that weren't enough, I just bought a really nice used Denon receiver for $75. I'm sure I'll enjoy it someday. The tornado warning. . .
. . .has expired, so I should be able to blog this evening, provided another one isn't issued. It didn't even rain, this time. But, there's something about a warning siren that makes you take things seriously, despite appearances. On a more serious note, I finally corrected the misspelling of Chief Justice Rehnquist's name in the previous post. Thank God I survived the tornado warning. I'd hate for my last post to contain such a glaring error. Hope to find good blogging material tonight. Plus, my graphical savior is back home after being out of town, so there's a good chance I'll have some funny pics before the night's over. UPDATE: For some reason, I seem to be having trouble getting my posts to go through, tonight. Sorry for the delay. Rehnquist Hospitalized With Cancer in Md. . . .from a loyal Ldotter pointed me to this column by J. R. Nyquist, about the nature of the opposition we are now facing, and its implications for all of mankind. There's a lot of truth in the article, and all of it a cause for worry. The key point is that political correctness and the desire to appear "inclusive" to the international community is threatening the existence of Western Civilization itself. We can't afford cultural relativism anymore, and the sooner we come to grips with that reality, the better the chance for the survival of not only our civilization, but all civilizations throughout the world. 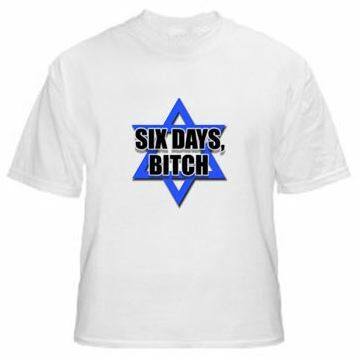 I mean, nobody honestly thinks that the radical Muslims will stop at Jews, do they? Another important point. . .
. . .to remember: Would U.N. ambassadors be undermining Kerry at this point in the race if they believed he was going to win? So, this is what it's all about. . . I was never quite sure what to expect, but I had a feeling it was going to disappoint two groups of people: (1) Bush partisans like myself, and (2) Rove mystics. But, this is a very damaging story going into the last seven days before Election Day. It goes straight to the heart of Kerry's "Respected in the World" premise. How can foreign leaders possibly respect him now? 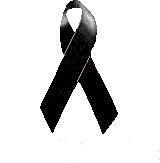 In memory of the lost members of the Hendrick Motorsports team and their families. Well, it's about time. . .
. . .somebody did it. According to people involved, the inquiry encompasses all the major radio formats and is not aiming at any individual record promoter. Just what the industry needs. A good iron wrist shitting. I'm actually going. . .
. . .to see a movie, today. This is not something I often do. But, since I've heard such great things about Team America, I figured I'd make an exception, and then come back with a review tonight. I don't know if that makes me the last blogger on the planet to see the film, but even if I am, that's OK. I've read some of the blogger reviews, and they were largely effusive in their praise for the film -- some going so far as to say it's one of, if not the funniest film ever made. Normally, that kind of buzz pushes me away, but in this case I'm intrigued. The bloggers I read tend to be pretty jaded when it comes to anything show-biz. It could be that Parker & Stone benefit from a little bit of "favorite son" sentiment among right-leaning bloggers -- icons of political incorrectness that they are. So, I'll try to be mindful of that in my own review. I'll be back at the blog this evening, sometime. UPDATE: Scratch that. I'm going to watch the NASCAR race with some friends, instead.